The Justice Department's Office of Legal Counsel (OLC) advised President Trump that it was within his authority to nominate an official such as former DOJ chief of staff Matthew Whitaker as acting attorney general following Jeff Session's resignation, a senior DOJ official told reporters on Wednesday. Between the lines: In its written opinion, the OLC argued that the Vacancies Reform Act (VRA) and AG Succession Act present two possible legal avenues for choosing a temporary AG successor, and that neither supersedes the other. The VRA allows the president to choose a high-level agency official who has served for 90 days, regardless of whether they have received Senate confirmation. The OLC also argued that a person serving in a temporary or acting position is not considered a principal officer. Therefore, the office said Whitaker's appointment does not violate the appointments clause of the Constitution, which requires all principal officers be confirmed by the Senate. The bottom line: Each of these points have been questioned by various legal experts and former DOJ officials. While there have been court rulings on similar situations, which are highlighted in the OLC's written opinion, legal experts have told Axios that there have not been any rulings that specifically address this legal issue. 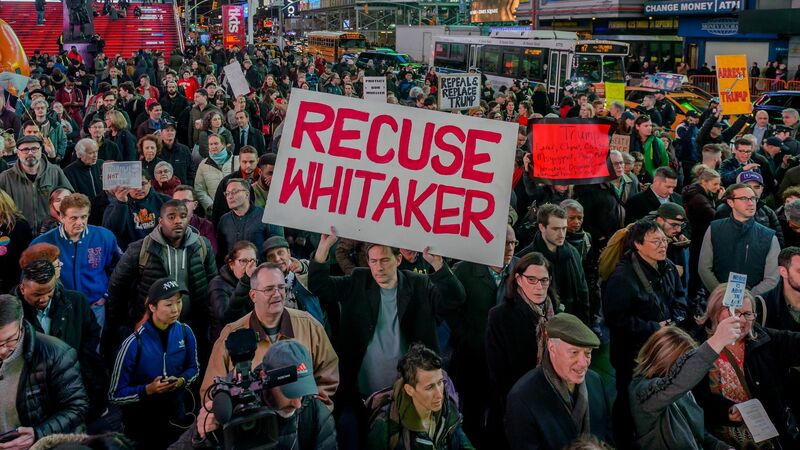 The legality of Whitaker's appointment could still ultimately be decided in court. The backdrop: The OLC provides legal advice to the president as well as all executive branch agencies, although their opinions have been overturned in some cases — most notably, the "torture memos." Go deeper: Read the full OLC opinion.